Kevin Inman’s painting blog. I’m a painter in San Diego, CA. Painted on location at Sunset Cliffs. 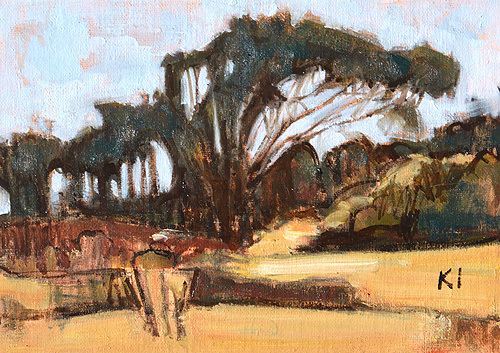 This entry was posted in Landscape Paintings, San Diego Paintings and tagged 5 x 7 inches, california, eucalyptus, ocean beach, oil on linen on panel, san diego, sunset cliffs on July 22, 2014 by Kevin.